So you want to stay at a hotel that gives you great value and also treats you as an individual. Plus it has the flexibility to meet your personal requirements. 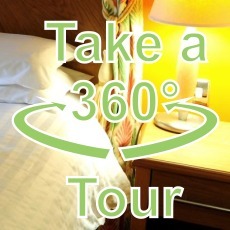 On top of that, it needs to make you feel fresher and more rested as you leave than when you came in. Of course, it would be great if it has a personality good enough to make you feel welcome when you are away from home. Here at Kegworth Hotel we think we tick many of the boxes you’d want us to. Our Motto is Personal, Professional and Flexible. We appreciate that you want a consistent experience. But you don’t want the “one size fits all” attitude that goes with many hotels or inns locked into a "branded" offering. We’ve listed below some more reasons why you should choose to stay with us. In the heart of the East Midlands, two minutes from a motorway junction, five minutes from the international East Midlands Airport, ten minutes from the East Midlands Parkway mainline Railway station – Kegworth Hotel is well connected. Within 20 minutes of Nottingham, Derby and Loughborough and Leicester. Our well equipped en-suite rooms are amongst the most spacious you will find anywhere – even our standard rooms which at 20 sq.m are larger than many superior rooms in other hotel. Our superior rooms have even more rooms at about 25 sq.m. All rooms have comfortable beds, a good sized flat screen TV, a host of complimentary amenities, generous working / dressing areas and complimentary tea and coffee making facilities. Also included are a safe, hairdryer and iron / ironing board. 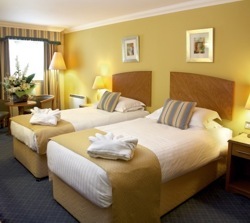 Kegworth Hotel gives you 4 Star comfort at three star prices. What is more we guarantee that you will not find our rooms being sold cheaper on any other website. That’s guaranteed – or we’ll refund double the difference! Your stay comes with a high quality wifi access that is genuinely free. We won’t restrict your access or the time you are allocated (unlike others!). You also get complimentary access to our Leisure facilities that includes an indoor heated pool, good sized gym, Jacuzzi and sauna. Our executive room upgrades includes a host of extras designed to give the business travel a home from home and an office away from the office. 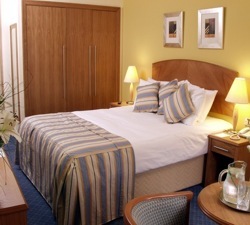 Executive room include a gourmet coffee maker, business facilities plus room finery extras. We pride ourselves on exceeding expectations and delivering a 5* service at a 3* rate. 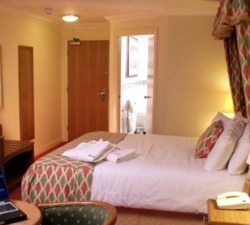 We offer a range of room types to suit everyone’s requirements and budget. Whether you’re a lone traveller on a budget, a couple on a special weekend stay away, a family enjoying some family quality time or a business executive looking for superb facilities at affordable prices. You’ll be sure to find the right room for you. The hotel boasts something for everyone. Our sports bar is where those sport mad fans congregate to discuss the latest transfer news and comment on the live games being shown. Our superb Mediterranean themed restaurant, Sweet Olives, serves the freshest locally sourced produce with a continental twist and of course you can relax or work out in our leisure club. Whether you choose to cosy up with a class of wine in our lounge, sharing memories and stories, or go out and experience the local village, our staff would be more than happy to recommend places in the area. If you’re planning a night out, let us call you a taxi, or if you’re looking a quiet night in front of the television, let our room service bring your dinner to you. 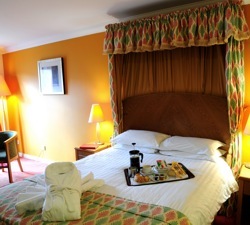 Whatever your reason for staying, at the end of a busy day, we guarantee a comfortable bed for a good night’s sleep. 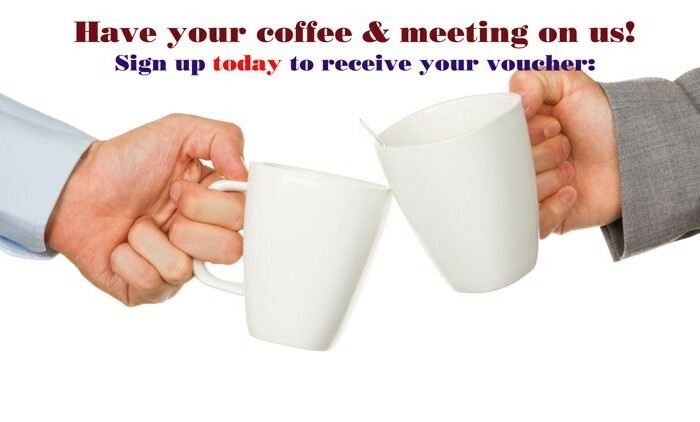 Yes, I would like to receive a voucher that enable me to money off my stay with you. Would certainly book again. Big, clean room and big comfy bed and great breakfast. Excellent facilities and parking. Amazing price... Would highly recommend. This is an excellent value for money hotel with a very good restaurant. The staff at this hotel were extremely helpful, kind and very polite.